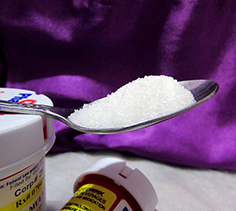 Your blood sugar drops, your blood sugar spikes, and how do you keep up? For sure, you want to be monitoring your blood sugar, and there are nifty little devices that make it a little easier these days. Yet, diabetes management is about much more than just knowing that number. Here are some tips that can help you better balance your blood sugar levels. You know how they tell people that are dieting to eat more often instead of just having three meals throughout the day? Naturally, you have to watch portion sizes, but it’s actually a good tip for diabetics. Blood sugar levels can get too low if you wait too long before eating. Therefore, eating the right foods at the right quantities and more often can help you better manage your blood sugar. Complex carbohydrates are your friend, and you want to be diverse when making your selections. Think healthy foods like vegetables, and have you tried quinoa? Brown rice is a great substitute for white rice, too. Eating complex carbohydrates vs sugary, starched up, processed foods is a much better solution. Portion sizes were discussed since you are going to be taking steps to eat more frequently. We need to talk an actual schedule, and we need to get more specific about portion sizes. The schedule should find you eating about every two hours, stretching it to every four hours max. For sure, in this world, it can be difficult to find time to eat with everything we have going on, but you’re going to have to make time, even on the fly. If you have to wait awhile, that’s why there is that window of 2-4 hours as good guidance. Now let’s talk portions. Eating more often means that you’re naturally going to want to cut down your portions a little. If you eat every 2-4 hours, a good rule of thumb is to cut portion sizes in half. Eat healthy meats like fish, and identify healthy snacks that you can bring with you on the go. The more you understand what foods can help you balance out your blood sugar, the more options you are going to have. You are going to realize that there are some deliciously tasty foods that you love but might not eat right now. It’s easy to focus on the foods that are consistently shoved in our faces via television ads and in-person advertisements from restaurants. Exercise can help you balance out your blood sugar levels, too. If you work towards the natural solutions that have been mentioned so far, they will go a long way. Diet and exercise are very important parts of a diabetes management plan. Balancing out your blood sugar can feel like a juggling act. But the more you know, the easier you’re going to find it to be. It takes time, and you’re going to be working with your doctor towards the best individual solutions for you, too. A personalized plan will be developed, and you will continue to identify ways to help you balance out your blood sugar. « Panalean Review – Is This Weight Loss Supplement For You?